The ultimate blue-collar guitar, the Telecaster launched a musical revolution when we released it. 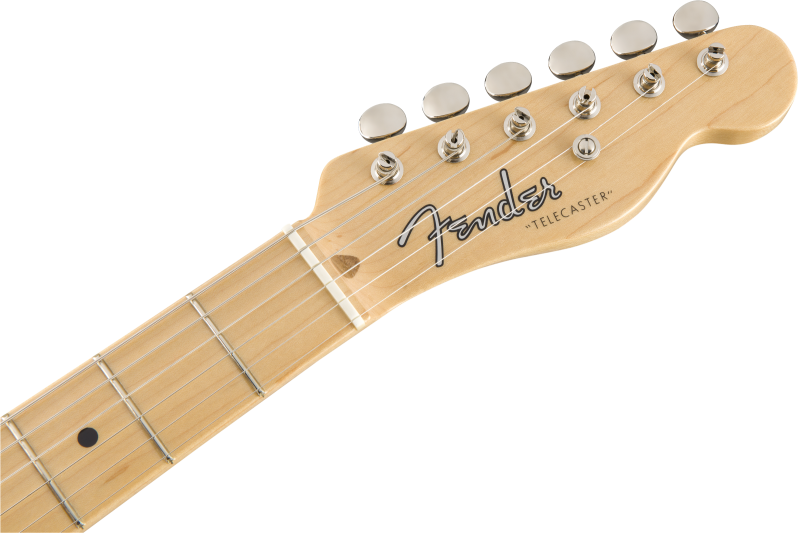 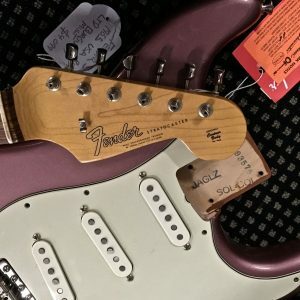 Quickly adopted by working guitarists who were enamored with its trend-setting sound, feel and unique style, the Telecaster laid the foundation for modern country, blues and even heavy metal (in Jimmy Page’s hands). 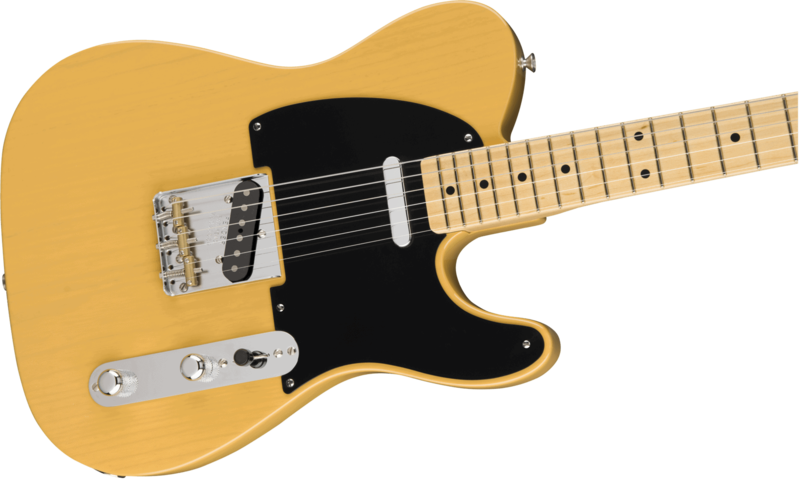 The American Original ’50s Telecaster has all of the authentic Fender touches that made the Telecaster a star of the studio and stage, adding modern feel and pickup switching to this classic guitar. 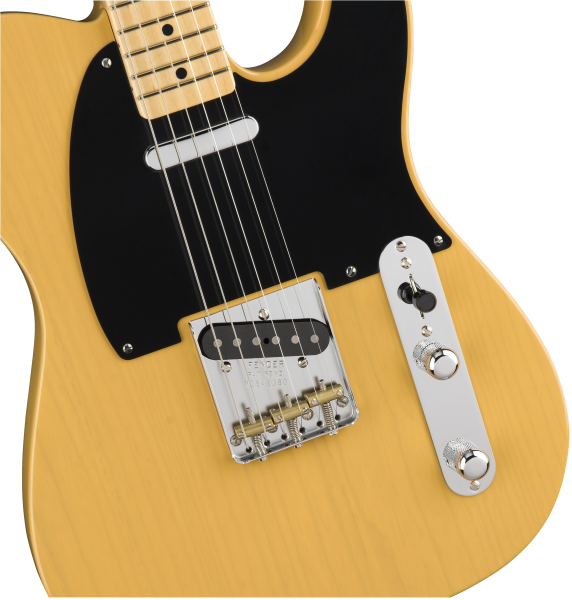 The Pure Vintage ’52 single-coil Telecaster pickups are as period-correct as possible, from the enamel-coated coil wire to the cloth-covered output wires, fiber bobbins and alnico 3 magnets. 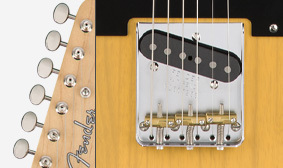 We even made sure the steel base plates are copper-plated, while the pickups’ pole pieces are flush-mounted like the originals. 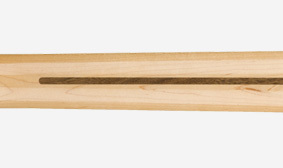 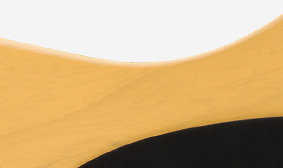 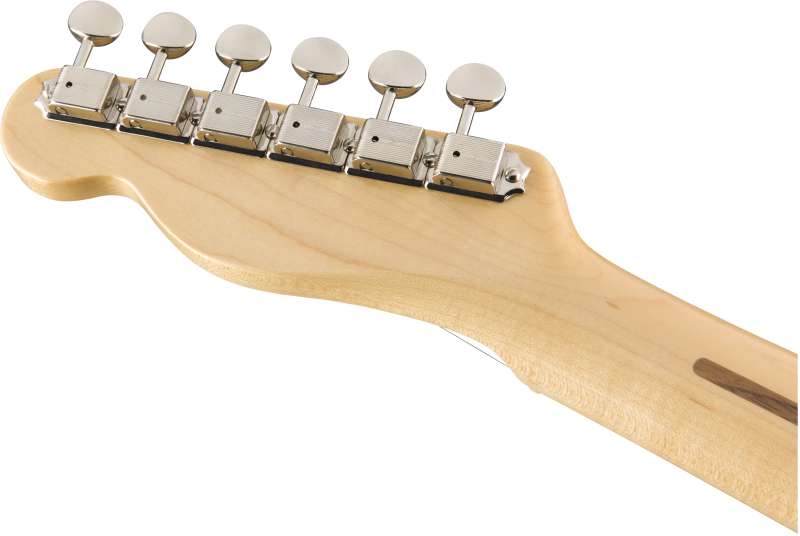 The thick “U”-shaped neck profile gracefully fills the fret hand, while the 9.5″-radius fingerboard will feel familiar to any player. 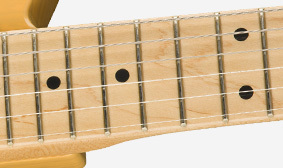 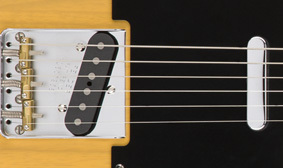 Other authentic touches include vintage-tall frets, original-era body radii, vintage-style hardware-including three brass barrel saddles-vintage-style hardshell case and a lacquer finish that not only lets the wood “breathe” naturally with resonant tone, it also wears in a distinctively appealing way. 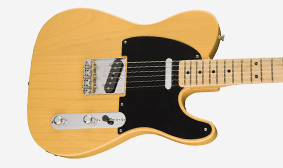 The American Original ’50s Telecaster is the best way to experience the performance, style and tone that made Fender the foundation of modern music.